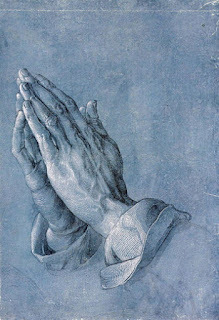 Grant to us, Lord, we pray, the spirit to think and do always those things that are right, that we, who cannot exist without you, may by you be enabled to live according to your will; through Jesus Christ our Lord, who lives and reigns with you and the Holy Spirit, one God, for ever and ever. Amen. 19:4 But he himself went a day’s journey into the wilderness, and came and sat down under a solitary broom tree. He asked that he might die: “It is enough; now, O Lord, take away my life, for I am no better than my ancestors.” 5 Then he lay down under the broom tree and fell asleep. Suddenly an angel touched him and said to him, “Get up and eat.” 6 He looked, and there at his head was a cake baked on hot stones, and a jar of water. He ate and drank, and lay down again. 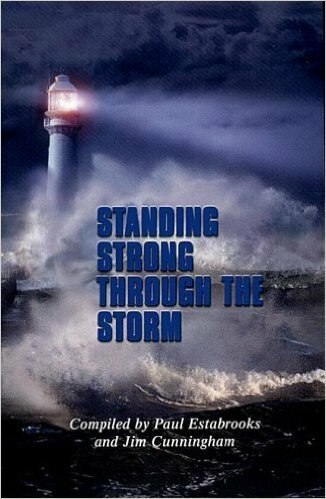 7 The angel of the Lord came a second time, touched him, and said, “Get up and eat, otherwise the journey will be too much for you.” 8 He got up, and ate and drank; then he went in the strength of that food forty days and forty nights to Horeb the mount of God. Of David, when he feigned madness before Abimelech, so that he drove him out, and he went away. his praise shall continually be in my mouth. let the humble hear and be glad. and let us exalt his name together. and delivered me from all my fears. so your faces shall never be ashamed. and was saved from every trouble. happy are those who take refuge in him. 4:25 So then, putting away falsehood, let all of us speak the truth to our neighbors, for we are members of one another. 26 Be angry but do not sin; do not let the sun go down on your anger, 27 and do not make room for the devil. 28 Thieves must give up stealing; rather let them labor and work honestly with their own hands, so as to have something to share with the needy. 29 Let no evil talk come out of your mouths, but only what is useful for building up, as there is need, so that your words may give grace to those who hear. 30 And do not grieve the Holy Spirit of God, with which you were marked with a seal for the day of redemption. 31 Put away from you all bitterness and wrath and anger and wrangling and slander, together with all malice, 32 and be kind to one another, tenderhearted, forgiving one another, as God in Christ has forgiven you. 5:1 Therefore be imitators of God, as beloved children, 2 and live in love, as Christ loved us and gave himself up for us, a fragrant offering and sacrifice to God. 6:35 Jesus said to them, “I am the bread of life. Whoever comes to me will never be hungry, and whoever believes in me will never be thirsty. Jesus said "I am the bread of life. Whoever comes to me will never be hungry, and whoever believes in me will never be thirsty." "The Living Bread = Jesus' Flesh"
The Holy Gospel comes to us this morning from John the 6th chapter, beginning at the 35th verse. Ephesians 5:2 and live in love, as Christ loved us and gave himself up for us, a fragrant offering and sacrifice to God. There are verses from our gospel lesson and a verse from our epistle lesson from Ephesians that I would like to play close attention to this morning. From Ephesians: 5:2 "and live in love, as Christ loved us and gave himself up for us, a fragrant offering and sacrifice to God." 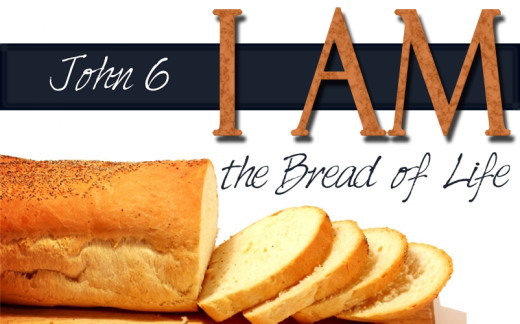 And from our gospel lesson: 6:51b "and the bread that I will give for the life of the world is my flesh." Now to get a feeling what these two verses mean, I would like to tell you a story from a book by Shel Silverstein, The Giving Tree. "The tree gives the little boy her apples to pick and her branches to climb. The boy and the tree love each other and are happy in their life together. As the boy grows older, however, his interest in the tree becomes less. The tree is very lonely until one day the boy returns as a young man. The tree offers her apples and branches, but the boy claims that he is too old to climb and play. He is more interested in money. ’Can’t you give me some money?’ he asks the tree. The tree has not money, but she does have apples. Why doesn’t the boy pick the apples and sell them then he will be happy. The boy picks the apples and sells them, then he will be happy. The boy does this and the tree is happy. But then the boy stays away an even longer time and the tree is sad. Years later the boy returns. The tree is overwhelmed with joy as she invite the boy to swing from her branches. But the boy is too busy to play. What he really wants is his own family and a house to keep him warm. Can the tree give him a house? No, but the boy can cut her branches and build a house with them, suggests the tree; then he will be happy. The boy does this and the tree is happy. Many years pass before the boy, now middle-aged returns. The tree, overjoyed, invites the boy to play. But now the boy is too old to play. All he wants is a boat which will take him far away. ’Can you give me a boat?’ the tree invites the boy to cut down her trunk and make a boat so he can be happy. The boy does this, and the tree is happy--but not really, for now only a bare stump remains. When, years late, the boy returns, he is hunched-over, old man. The tree apologizes for having nothing to offer any longer, no more apples to eat or branches to climb, only an old stump. But the old man says his teeth are too weak for apples, and he is too old to climb. All he needs is a quiet place to sit and rest for he is very tired. And the boy does. The tree is very happy." 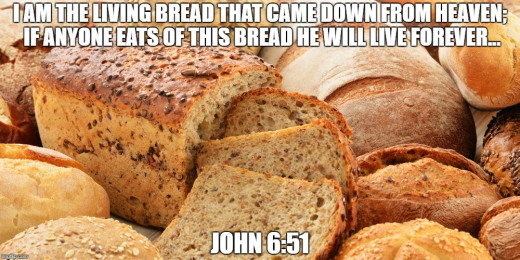 Isn’t that a neat story, but also a good illustration of how Jesus as the bread of life gave and gave of himself, feed and feed the people with his body and blood from the tree of the cross so that all would be nourished. The apple tree gave and gave, Jesus as the bread of life gives and gives of himself as he gives from the cross of Calvary as the text says: "and live in love, as Christ loved us and gave himself up for us, a fragrant offering and sacrifice to God." Jesus this living bread from heaven gave of himself, from the cross, from in a sense from another giving tree, but instead of apples, he gave bread, living bread from heaven his own flesh. God used a tree, the cross of Calvary to give us the living broad so that all who eat from it, may have life. And this tree, the cross keeps on giving and giving as did that apple tree. The body and blood of Christ is still given and shed for us each time we come to his holy supper each time we come to this rail we come to the living bread from heaven which came to us by the way of a tree, the cross of Calvary. I enjoy making bread in our bread machine. I love the smell of the bread baking at the end of the process, and it seems as if everyone is excited to come to the table that evening for supper to have that bread to eat. Is there an excitement each time you come to the Lord’s table to eat and drink? I hope so, for there at his table, we experience the bread of life, Jesus himself. The bread which was given on the cross for our lives. In a church in the town of Exira, Iowa, they had a banner hanging in their church which said, "The crib and the Cross both were made of wood." A tree was used to bring Christ, to bring this son of God into the world, and a tree, the cross of Calvary was used to give us life, the living bread, the bread of heaven, Christ’ s own flesh..
And notice in the text Jesus says that anyone who eats of this bread will not die, but live because the cross, the giving tree of Christ is for you and I. It was not Christ’s cross he died upon but my cross and your cross, so that if we eat of his flesh and drink of his blood we might have life and have life eternal. There was a popular move and novel called Barabbas out many years ago. It was about Barabbas, the criminal who was turned loose and Jesus who died in his place. The day Barabbas was to die, he walks into the local bar and everyone is shocked to see him. After a few rounds of drinks, the crowd along with Barabbas decide to go see this man who had been appointed to die in Barabbas’ place. Barabbas pushes his way to the front of the crowd, he sees Jesus hanging there on the cross on that tree. Barabbas was so moved by the whole experience that he turns and grabs the arms of the person standing next to him and say, "Look you see that fellow hanging on that tree? He is dying on my cross, my tree. That is my cross.."
Jesus didn’t die on a cross, he died on your cross and my cross. He took our place on the cross, so that we might not have to be sacrificed to God for the sins we have committed, punished for our sins against God and our fellow human beings! Jesus took our punishment, our place, on our cross and in that place instead of death he gave us life, free life, the living bread of heaven. Do you believe that? Do you believe that Jesus gave from that tree, life, that he gave you his body and blood so that you might live eternal? Do you believe that Jesus hung from a Giving tree and instead of giving branches, apples, and a trunk he gave his flesh and blood, so that you and I through the holy supper might partake of his body and blood, might eat of the living bread and drink of the living water? Is this all a hoax? Do you come Sunday after Sunday to participate in a hoax, or do you believe, and trust in the promises which are implied in this text and which are demonstrated throughout the whole Bible, that Jesus is indeed the living bread, the water of life, through the giving tree of the cross so that you and I might have eternal life? We come here Sunday after Sunday to be renewed, to hear the promise of god’s grace to eat of the bread of life and drink the blood of Christ so that we might be assured again and again this is not a hoax, but the real thing. We need to come to keep the coals of salvation warm in our hearts as seen in this closing story. A member of a certain church, who previously had been attending services regularly, stopped going. After a few weeks, the pastor decided to visit him. It was a chilly evening. The pastor found the man at home alone, sitting before a blazing fire. Guessing the reason for his pastor’s visit, the man welcomed him, led him to a big chair near the fireplace and waited. The pastor made himself comfortable but said nothing. In the grave silence, he contemplate the play of the flames around the burning logs. After some minutes, the pastor took the fire tongs, carefully picked up a brightly burning ember and placed it to one side of the hearth all alone. Then he sat back in his chair, still silent. The host watched all this in quiet fascination. As the one lone ember’s flame diminished, there was a momentary glow and then its fire was no more. Soon it was cold and "dead as a doornail." Not a word had been spoken since the initial greeting. Just before the pastor was ready to leave, he picked up the cold, dead ember and placed it back in the middle of the fire. Immediately it began to glow once more with the light and warmth of the burning coals around it. As the pastor reached the door to leave, his host said, "Thank you so much for your visit and especially for the fiery sermon. I shall be back in church next Sunday." Jesus said: "I am the living bread that came down from heaven. Whoever eats of this bread will live forever; and the bread that I will give for the life of the world is my flesh." Everloving God, your Son Jesus Christ gave himself as living bread for the life of the world; give us such a knowledge of his presence that we may be strengthened and sustained by his risen life to serve you continually; through Jesus Christ our Lord who is alive with with you and the Holy Spirit, one God now and for ever. Amen. 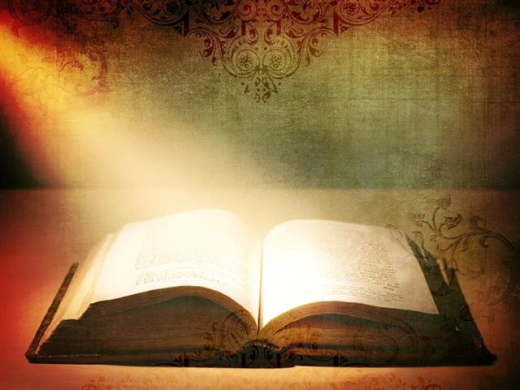 The Bible texts of the Old Testament, Epistle and Gospel lessons are from the New Revised Standard Version Bible, copyright 1989 by the Division of Christian Education of the National Council of the Church of Christ in the USA, and used by permission. Sermon written by Pastor Tim Zingale, St. Olaf Lutheran Church, Fort Dodge, Iowa on August 4, 2003. Almighty God, your Son Jesus Christ fed the hungry with the bread of his life and the word of his kingdom. Renew your people with your heavenly grace, and in all our weakness sustain us by the true and living bread, Jesus Christ your Son our Lord, who lives and reigns with you and the Holy Spirit, one God, now and for ever. Preserva también a tu siervo de las soberbias; que no se enseñoreen de mí; entonces seré íntegro, y estaré limpio de gran rebelión. Ayer aprendimos que debemos limpiar y poner en orden nuestro cuerpo que, desde el punto de vista espiritual, es la casa de Dios. Sé que a veces cuando no entendemos mucho el porqué de las cosas que nos pide Dios, se levanta cierta rebeldía en uno. Se trata de algo que nos dice: «¿Y por qué tengo que hacerlo?». Entonces, si lo hacemos, quizá sea a medias y cambiemos ciertas cosas. No obstante, nos quedamos con lo que nos gusta, que a menudo es lo más pecaminoso. Es de lamentar que no entendamos que el mal es para nosotros mismos, ya que esa actitud no nos llevará a ningún final feliz. Todos tenemos algo de rebeldes. A ninguno nos agrada que nos digan que debemos cambiar. Pensamos que nadie tiene derecho sobre nosotros. Es más, se nos olvida que si hemos rendido la vida a Dios, Él tiene autoridad sobre ti y sobre mí y la tiene como Padre. ¿Qué es lo que levanta en ti la rebeldía? ¿Salir de tu zona de comodidad y hacer cambios radicales? Recuerda que esto te traerá bendición. Dios es un Dios de orden, por eso no actúa en el desorden. Por lo tanto, si Dios no trabaja en nosotros cuando hay desorden, ¿por qué no ordenamos nuestra vida? ¡Ah! Tengamos presentes que los que trabajan en el desorden son los demonios. How is suffering overcome? Or if you like, what is the solution to persecution? A church father answered this way; “Pray as if everything depends on God. Work as if God were going to do his work through you.” So when resisting persecution, we do everything humanly possible to lessen it. But then we also beseech God to put a stop to it. In the two comes deliverance. You can see both sides involved here. On the human level, we see two characteristics coming to the fore especially—courage and cunning. Esther is the one who displays courage, by taking her life in her hands to enter the king’s presence without an appointment. She says, “If I perish, I perish.” What a brave woman! She’s also the one who displays cunning, hatching a plan to entrap Haman. She throws a banquet, reveals her racial identity, and then exposes Haman as the man who wants to kill her. Would it have worked? Who knows? Perhaps not. Haman did have great clout with the king as a trusted advisor, and Esther was merely a queen, and queens—as made clear here—are easily replaceable. But it did work out, thanks to God. And this is the other side. We pray and pray that God will intervene. There is so much that is beyond our control. Our planning, our cunning, our bravery, is never enough. We need God’s help. So the Jews have a time of weeping and repentance (Esther 4:1-3), and then God intervenes in an astonishing way. An old pastor used to say to me, “I find that coincidences stop happening when I stop praying.” The resolution of the book of Esther hinges on a massive coincidence, namely, that at the precise moment Haman expects to kill Mordecai, the king decides to honor Mordecai. Both men reach each situation independently. Take the king, for instance. · The king just happens to have a sleepless night before Haman will pitch his plan. · He just happens to read the annals to get to sleep, and just happens to find the part that tells of a good deed of Mordecai. · He just happens to decide to honor Mordecai the following morning at the very moment Haman comes into the room. · He just happens to select the first person who walks into his room at that time to carry out his plan. · That person is Haman, who just happens to be ready to ask for the head of Mordecai. And through a misunderstanding, the king decides to put Haman to death, as he thinks Haman is molesting Esther when in fact he’s only pleading. The point is, all this is outside human control. It’s God’s doing. But He worked within Esther’s plan. And so the plan to persecute the Jews is foiled. 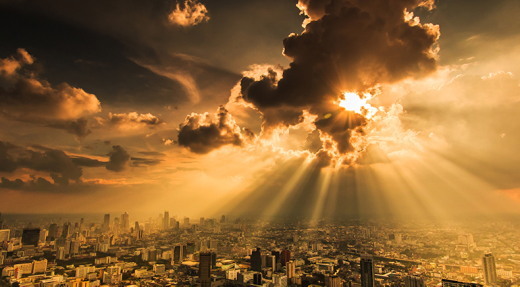 RESPONSE: Today I acknowledge that there are no coincidences, just God-incidences! 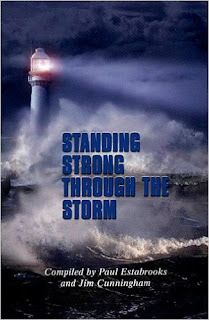 PRAYER: Help me, Lord, to be faithful and see evidences of Your control over my circumstances. For the word of the cross is folly to those who are perishing, but to us who are being saved it is the power of God. Have you noticed, people can say and do foolish things? Not so long ago, in South Dakota, the state highway department got a call from a rancher who wanted them to remove the deer crossing signs on the road that went by his house. His thinking was too many deer were being hit by cars, and he didn't want them to cross there anymore. Here's one from a friend-pastor who swears it's true. He and his wife were picking up their new car at the dealership. Somewhat embarrassed, the salesman said their keys had been locked in the vehicle by accident. They went to the service department and found a mechanic working feverishly to unlock the driver's side door. As they watched from the passenger's side, my friend instinctively tried the door handle and discovered it was open. "Hey!" he announced to the technician, "It's open!" "I know," answered the young man. "I already got that side." Now, up to this point in our devotion, I've been sharing some silly, true stories. And while I'm sure you would never do such things, I'm equally sure you've still managed to do your share. I'm sure if I asked your children, your spouse, your parents, or your best friends, they would be more than glad to share a foolish story or two about you. Most of the time our silliness amounts to nothing more than a bit of embarrassment. But if you are foolish about things which stop you from seeing the Savior, it can be downright damning. And it is at the end of that last line some people stop listening. Many people don't want to hear about their need for Jesus. Most certainly, evil doesn't want salvation to reach them, reclaim them, recycle, and inspire them. For these folks, any time someone speaks God's message of Christ's cross to them it seems like foolishness. Truly, if someone thinks the cross is foolishness, it is because he doesn't understand what God wanted to happen there. It is because they do not understand what God was trying to accomplish. They are not seeing the value of the healing medicine which God is giving. I cannot tell how the cross touches you today. For that reason, I would like to say it was on Jesus' cross that God repaired that which we cannot restore. On the cross, God's Son built a bridge over sin's gulf which separated us from the Creator. 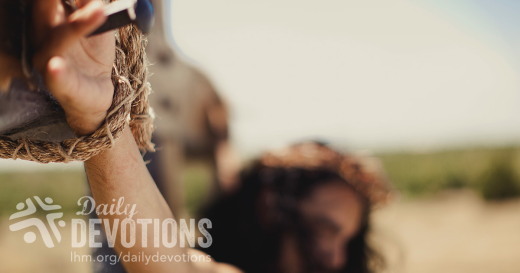 On the cross, the Savior shows that no matter what you have done, no matter how bad you have been, no matter how long you have lived in your transgression, God loves you and is willing to do all which is needed to save you. On the cross, in that place of earthly suffering, God offered spiritual healing. On the cross, in the place of physical death, God showed us the pathway to life. On the cross, God's sinless Son shed His blood as the price that had to be paid to buy us back from sin, Satan, death. On the cross, Jesus' precious blood becomes the Father's heaven-sent cure for all the illnesses which tear at your soul, your mind, your peace, your hope, and heaven. Which is why I pray you will see the cross for what it is: one of God's greatest gifts to you. THE PRAYER: Dear Lord, there are still those who think the cross is foolishness. Send Your Holy Spirit so doubters and deniers may clearly see the wonderful things You have done through Your Son's Sacrifice. In Jesus' Name. Amen. Le signal SOS du code Morse a été créé en 1905 parce que des marins avaient besoin d’un moyen de signaler une détresse extrême. Il a gagné en notoriété en 1910 lorsqu’on l’a utilisé pour sauver les quarante-six personnes à bord du navire Steamship Kentucky, qui était alors en train de couler. Bien que SOS soit une invention plutôt récente, le cri à l’aide d’urgence est aussi vieux que l’humanité. Nous l’entendons souvent dans l’histoire de Josué, qui a dû surmonter l’opposition des autres Israélites (JOS 9.18) en milieu hostile (3.15-17) pendant plus de quatorze ans tandis que le peuple d’Israël conquérait lentement le pays que Dieu lui avait promis et s’y installait. Pendant ce combat, « [l’]Éternel fut avec Josué » (6.27). Dans Josué 10, les Israélites se portent au secours des Gabaonites, leurs alliés attaqués par cinq rois. Josué savait avoir besoin de l’aide du Seigneur pour triompher de tant d’ennemis puissants (V. 12). Dieu a alors fait pleuvoir sur ces derniers des pierres de grêle, suspendant même la course du soleil afin de donner à Israël plus de temps pour les vaincre. À ce sujet, Josué déclare : « [Car] l’Éternel combattait pour Israël » (V. 14). Si vous êtes en situation difficile, envoyez un SOS à Dieu. Même si l’aide reçue différera de celle que Josué a reçue, il se peut qu’elle vous arrive sous la forme d’un emploi inattendu, d’un médecin compréhensif ou d’une paix au cœur d’un deuil. Prenez courage, y voyant des réponses de Dieu à votre cri à l’aide et sachant qu’il combat pour vous. En criant à l’aide à Dieu, ne doutons pas qu’il sera avec nous. Le signal SOS du code Morse a été créé en 1905 parce que des marins avaient besoin d’un moyen de signaler une détresse extrême.